2012 Witness Against Torture march in front of the White House. What Does China Think of the CIA Torture Report? Media responses included traditional accusations of U.S. “double standards,” but showed more nuanced aspects as well. On December 9, the U.S. Senate Select Committee on Intelligence released a 528 page report on the Central Intelligence Agency’s (CIA) use of torture during the Bush administration. The document, a summary of the original 6,000+ page report, painted a horrifying picture of the use of waterboarding, sleep deprivation, and forced feedings on over 100 detainees – all carried out with little to no oversight or accountability. The Senate committee also accused the CIA of both downplaying the extremity and frequency of harsh interrogation technique and exaggerating their effectiveness in procuring crucial information. The world – including China – has responded with dismay. China has also seized upon the report as a tool for rebutting U.S. criticisms of China’s own human rights practices. 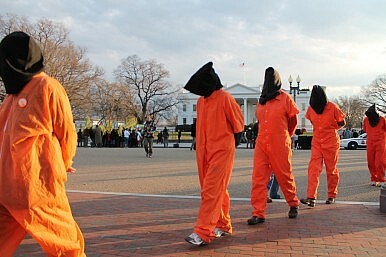 The Obama administration has both condemned the use of torture and sought to distance itself from the practice. U.S. President Barack Obama ended the controversial CIA interrogation program shortly after taking office in 2009. In a written statement responding to the report, Obama denounced the “harsh methods” as “inconsistent with our values as [a] nation.” “[T]hese techniques did significant damage to America’s standing in the world and made it harder to pursue our interests with allies and partners,” Obama said, noting the interrogation methods did not serve U.S. national security interests. That does not seem to be the case, at least not in China. Chinese media coverage lambasted the U.S. government as whole for the information contained in the report, with one CCTV anchorman calling it “a heavy slap in the face of the American government.” Chinese media (along with other international officials and U.S. NGOs) also questioned why there are no plans to prosecute the interrogators or the officials responsible for overseeing the program. China has long complained that the U.S. has no grounds for criticizing other countries for human rights violations. The Senate report provides further ammunition for that position (and is likely to feature prominently in the 2015 edition of China’s annual report on human rights in the U.S.). Even before the Senate report came out, Chinese media were criticizing the U.S. response to several recent cases in which white police officers killed black men. China has followed developments in the Ferguson case particularly closely. However, with China engaged in its own “war on terror,” there were more nuanced aspects to the discussion as well. Some social media users, while denouncing torture, worried that the release of the report would undermine today’s counter-terrorism efforts, including the on-going fight against Islamic State. Other Chinese netizens adopted a more tongue-in-check approach, suggesting that China and the U.S. had more in common than previously thought. Just think, the U.S. and China could have had joint facilities, one user said.